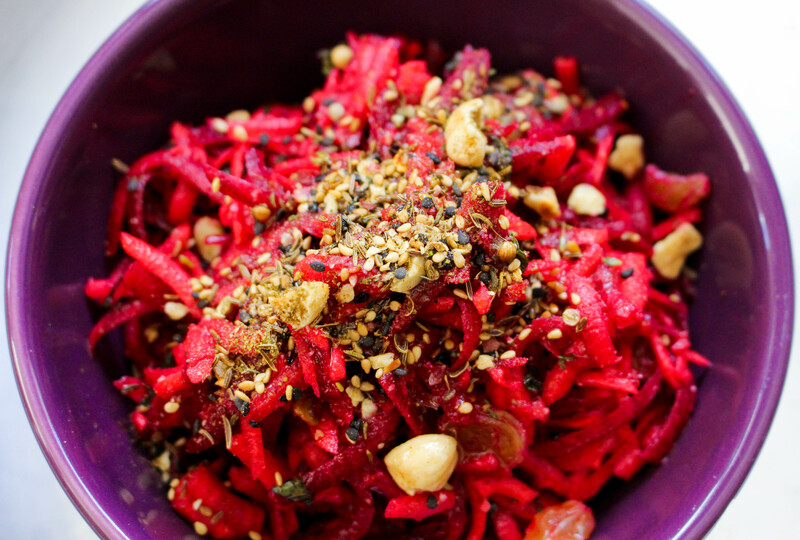 One of the many reasons I love this salad is that it is pretty and catches the eye. It’s sweet and earthy but also quite refreshing and the added Dukka gives the dish a layer of texture with a spicy surprise to boot. 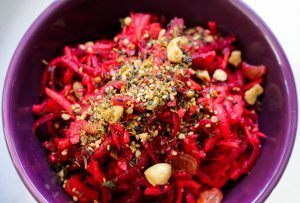 Grate the carrot and beetroot using a food processor or box grater then place in a large bowl. Add all of the remaining ingredients then mix well. Leave to infuse for about 20-30 minutes before serving. Stir again, serve on a plate or in a bowl and top with some fresh mint and Dukka.